The Ghana Civil Aviation Authority issued a directive, grounding all DC-8 aircraft. The Ghana CAA issued a technical directive, stating: “it is hereby directed that all air operators of aircraft registered in Ghana engaged in any form of commercial transport, shall from the date specified in this publication case from operation McDonnell Douglas DC 8 aircrafts.” The directive came into effect on December 31, 2013 but was only published on the CAA website this week. 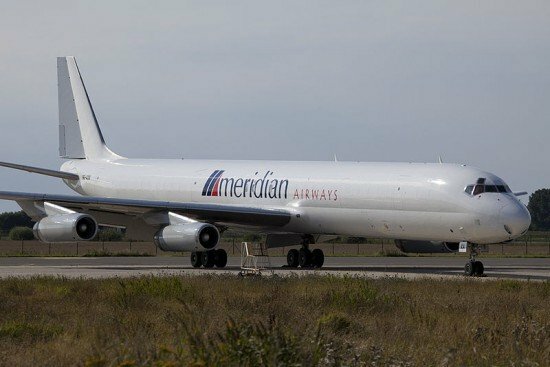 Two operators from Ghana are now to have recently operated DC-8 cargo aircraft: Meridian Airways and Airlift International (Ghana). Both operators are included on the list of airlines that are banned from operating in the European Union. However, two DC-8 aircraft of Airlift were exempt from this restriction (9G-TOP an 9G-RAC). Ghana CAA did not respond to e-mail enquiries by ASN seeking background information on this decision.